We’ve been asked if the logger can be connected to a Android device. Yes, it is possible, but only if the logger has a Bluetooth module. The Bluetooth module is available as an option for private loggers, but it is not implemented in the pool devices. You need some tricks to enable it which I will present in this post. Please note that the logger unfortunately can’t peer with an Apple device (iPhone / iPad) due to license restrictions by Apple. This entry was posted in Tips & Tricks for Officials, Tips & Tricks for Pilots on September 6, 2013 by Marc Andre. With the latest firmware upgrade of the logger a new question was introduced, that could show up at startup after entering QNH (See image). Pilots, don’t get confused: The question is simple: Is it a new flight or not? If you start the logger before launch or at briefing and this question rises, the answer is yes. If you want to start the logger after the flight (e.g. at debriefing) to read your declarations, the answer is no. 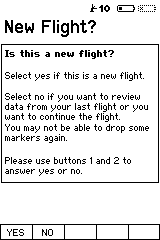 When a new flight is started, the logger allows you to drop all markers again and also goal declarations disappear from the user interface. Be aware that in any way you cannot clear data from your tracks. The declarations/drops done so far will remain in the track, thus scoring will not be affected. This functionality was introduced in order to allow to reset the logger in case something went wrong with clearing the so called declaration cache. 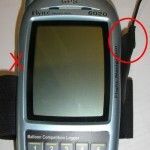 Of course pilots are not allowed to use this functionality to redrop a marker that has already been dropped in flight. Doing this might be considered interfering with the logger. This entry was posted in General, Tips & Tricks for Officials, Tips & Tricks for Pilots on September 10, 2011 by Marc Andre. The loggers have rechargeable batteries. 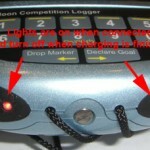 Each logger comes with a power charger. Please follow the following rules. Only official chargers may be used! 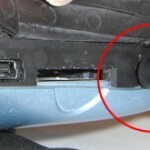 Especially take care to use the correct plug, the charger plug fits into two holes of the logger! 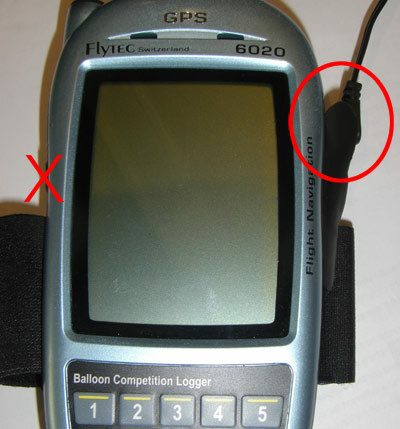 This entry was posted in Tips & Tricks for Officials, Tips & Tricks for Pilots on September 15, 2010 by Marc Andre.